Get the best of Lumina with even brighter light. 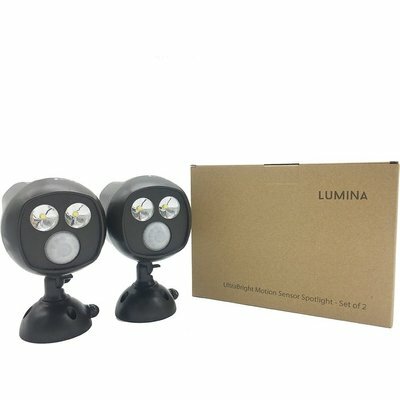 The motion-activated Ultrabright Spotlight provides 400 lumens of light with all of Lumina standard features, including motion activation, auto shut off, wireless installation and long battery life. Increase safety and security in areas like doorways, garages, decks, sheds, fences and backyards. 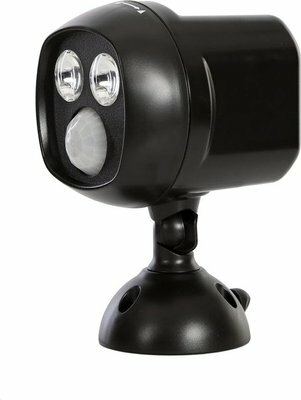 Bright 400-lumen output for safety and security. Wireless installation takes less than 5 minutes. Get 1 year of light on each set of batteries with average use of 8-10 activations a day. The LED spotlight provides 400 lumens of light for bright light around your home and yard. Expect about 1 year of light on each set of batteries with average use of 8-10 activations a day. The adjustable head allows you to focus the light wherever you need it to increase safety. 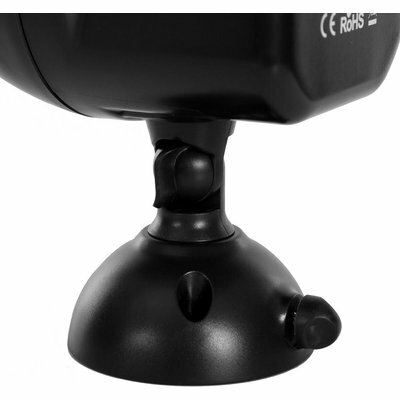 The wireless security spotlight turns on when it detects motion within 25 feet in the dark. It automatically turns off 20 seconds after the motion stops to prolong battery life. Install the wireless LED spotlight in less than 5 minutes with the included mounting hardware anywhere light is needed, including doorways, garages, backyards, porches, decks, fences and trees.